Collaborative distance learning involves a variety of elements and factors that have to be considered and measured in order to analyse and assess group and individual performance more effectively and objectively. This paper presents an approach that integrates qualitative, social network analysis (SNA) and quantitative techniques for evaluating online collaborative learning interactions. 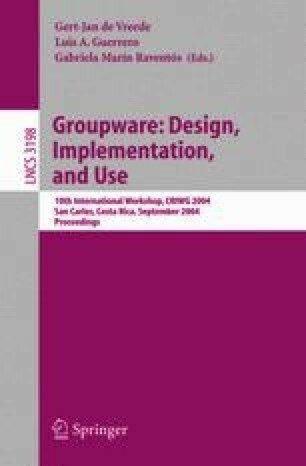 Integration of various different data sources, tools and techniques provides a more complete and robust framework for group modelling and guarantees a more efficient evaluation of group effectiveness and individual competence. Our research relies on the analysis of a real, long-term, complex collaborative experience, which is initially evaluated in terms of principled criteria and a basic qualitative process. At the end of the experience, the coded student interactions are further analysed through the SNA technique to assess participatory aspects, identify the most effective groups and the most prominent actors. Finally, the approach is contrasted and completed through a statistical technique which sheds more light on the results obtained that far. The proposal draws a well-founded line toward the development of a principled framework for the monitoring and analysis of group interaction and group scaffolding which can be considered a major issue towards the actual application of the CSCL proposals to real classrooms.